Addiction to Vicodin begins for many as nothing more than something to help manage the pain from a surgery, injury, or accident. However the trouble for many begins with the first pill, and quickly spirals into an unmanageable situation. Vicodin addiction affects everyone from the addict themselves to the people surrounding that person whether it be family or friends. Many of these people are unaware of the dangers that are associated with prescription drugs and how quickly things can change. It is important for the individual and those around them to learn as much about any medication being taken as well as any possible alternatives which may be available. What Is Vicodin? Why Is It so Addictive? Vicodin is a pill used for moderate to severe pain management that works by blocking off the pain receptors in the brain. One of the reasons for the abuse for this medication is that it can produce a highly euphoric state for users. This state of euphoria is the reason that many continue to use it long after their pain has subsided. 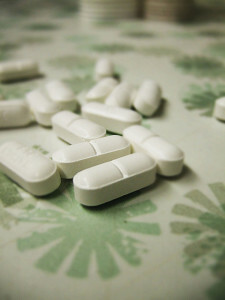 What Are Some of the Dangers of Vicodin? Vicodin poses many medical risks for those who do not follow proper instructions. The prescription works as a central nervous system depressant allowing it to naturally decrease heart rate and respirations, this characteristic makes Vicodin a very easy drug to overdose on when taken in high dosage. The medication is also not intended to be taken over a prolonged period of time and if done so can cause liver damage or failure, jaundice, and urinary system issues. What Are the Beginning Stages of Vicodin Abuse? What Are Some Signs? Abuse of Vicodin often begins with the sentence, “These aren’t working as well as before.” This sentence or thought is the beginning of when an individual goes from taking the prescription as prescribed medication to the beginning of taking it as a drug. As the person’s tolerance for the medication goes up the individual begins to take more and more in search of the euphoric effects they received the first time they took the medication. Usually the person taking it will justify their added dosage by convincing themselves and others that it is necessary in order for the medication to continue to work. What Are the Beginning Stages of Vicodin Dependence? There reaches a point in Vicodin addiction when the physical pain they once experienced, that introduced them to the drug in the first place, is nothing compared to the physical and emotional pain of keeping up with their addiction. Once the person reaches this stage of their addiction everyday becomes good and bad based on whether or not they are going to experience the pains of withdraw that day. At this point many people are aware or have some idea of their own problem and lie or attempt to hide it from those around them. For those that reach this point their addiction is based on avoiding feeling these symptoms when they miss one or multiple dosages. At this point when the physical and emotional pains begin to hit head on and every day seems like a struggle of survival to the addicted individual it becomes more evident to family and friends that there is a problem. Anytime someone is looking for some type of pain management medication they should consult their physician or health care provider about all the possible options and side effects that come along with each medication. It is important to know going in however there are a number of non-narcotic alternatives which can be used in place of prescriptions such as Vicodin. There are many reasons and ways people find themselves down the dark road of addiction, but with the right knowledge, support, and guidance there is always hope of finding the light.